What could be more alluring than feeling the breeze of air brush your cheeks, catching the drops of rain on your palms, bathing in the sunshine, all within the house? 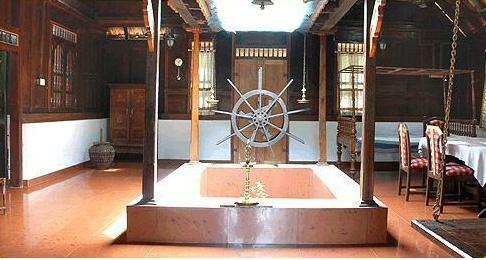 Nalukettu is the traditional type Kerala house, comprising of an open courtyard inside the house. 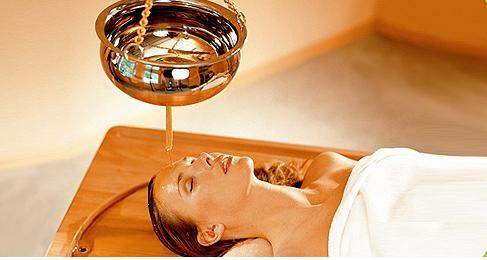 Nalukettu is a concept which has evolved over the years. Suited to the climate and requirement of the people of Kerala, the courtyard brings in air, sunlight and rain within the house, enabling the inhabitants to live and enjoy the beauty of Mother Nature, right inside the house. It preserves the goodness of our age old concepts without compromising on comfort and convenience. Bungalows are an architectural marvel where the Kerala architecture is blended into the medieval European style. Luxurious interiors with spacious bedroom, comfortable living room, dining room and bathroom, creates an environment befitting a King. The interiors of a bungalow resemble that of a royal palace. 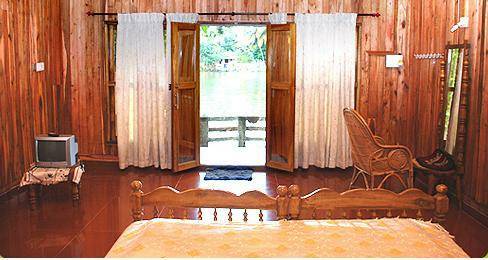 Located on the water front, Bungalows provide an excellent view. 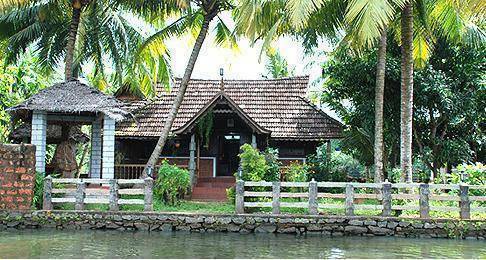 Tharavadu is the traditional wooden cottages of Kerala. Depicting the ancient style architecture of Kerala, Tharavadu contains an Ankanam (indoor open space without roof) with the elegant wooden swing couches Aattukattil. 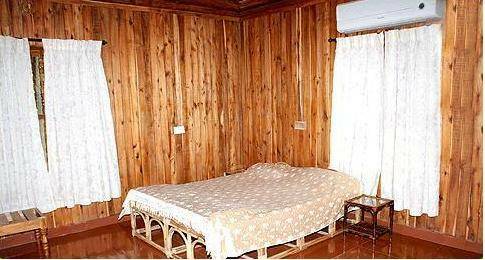 The rich ancient wooden construction shows the ancient architectural splendor of Kerala. The architecture may be vintage and traditional but has all the facilities of the modern era. Situated on the green banks of Champakulam (Kuttanad), also called the Venice of the east, Aquabliss is a welcome sight. Known for its personalized care and warmth, Aquabliss preserves the true essence of hospitality. It stands majestically with its resplendent houses made out of wood and clay, throwing its shimmering reflection over the water. The elegant interiors based on the traditional Kerala architecture and a cool environment, create a royal ambience. All the cottages of Aquabliss have been built according to a single theme - fusing the appeal of the tradition and comfort of the modern day. The other side of the backwater is covered with thick green bed of paddy, cultivation of which is done some 1. 5 to 2. 5 meters below sea level. Its little wonder why Kuttanad is called the rice bowl of Kerala. 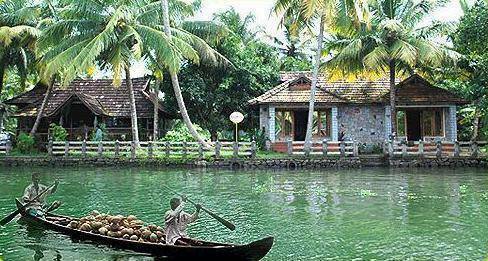 The scenic countryside beauty of Kuttanad is truly a blissful experience. Alleppey - Changanassery highway after iron bridge take left and drive 1 Km. You will reach at jetty of Aquabliss. Then you will transfer to to resort by boat.